The latest rage among home owners for enhancing the appeal of their bedroom is to get it adorned with high gloss and shiny furniture. Imagine a stunning appeal your room will have with a bed in a jet black, extremely smooth and polished look. The best part about having these glossy bedroom furniture pieces in your room is that they infuse a sophisticated and an elegant appeal in your room and Furniture in Fashion is a store that offers you this assortment of furnishing. It is however extremely difficult to design or create a high gloss furniture piece in your own. Henceforth getting in touch with a merchant who holds great reputation in the industry with years of establishment is important. Reason being, the prices offered by them are created with perfect finish and with correct tools and techniques. Furniture In Fashion offer glossy furnishings for bedroom that are lacquer based and involve a pricey spray to give it a perfect finish. What marks the difference is the gloss finish that the products have courtesy the technology and the skills that goes into the making which is nowhere else to be found. The Benefits of High Gloss Furniture is that the high gloss finish creates an ambiance that is clean, contemporary, not going over the edge and classy. The type of furniture can be easily mixed with wood finishes creating a dramatic effect. 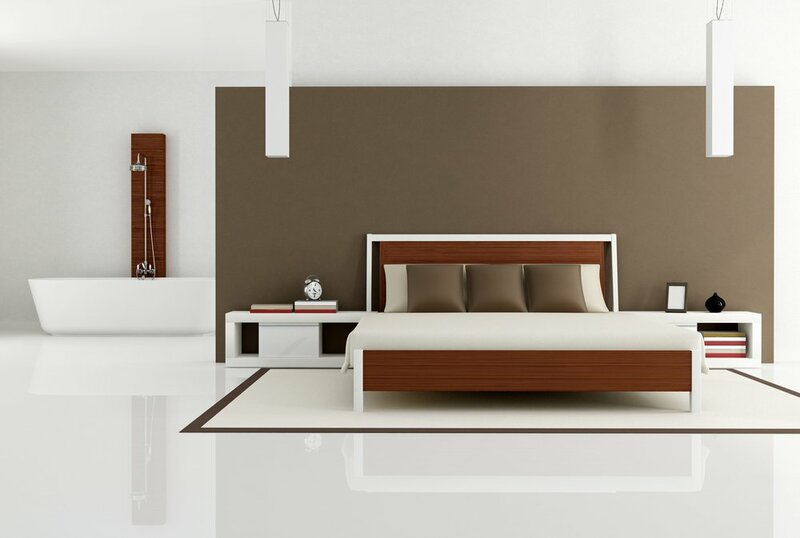 Apart from the stunning and sleek design, the glossy bedroom furniture pieces have another major advantage. Your room will be illuminated since such pieces reflect the light other than absorbing it. During the day, when there will be sunlight, your room will be enlivened with brightness, vigor and energy. During the night, the furniture will reflect light because of the lighting in your room by lamps and overhead lights. This way, your room will be have different looks during the day and add beauty to your otherwise dull room. Along with this, another benefit is that there is an illusion of space created in your room just like a mirror. Suitably sized furniture by Fashion in Fashion can make your room look spacious and not messy along with adding brightness and life in your room. This glossy bedroom furniture can be a perfect addition for small rooms in apartments. You might sometime find your house highly disorganized because of your stuff scattered here and there. The glossy bedroom furniture will add a sense and feel of neatness in your room besides adding beauty and adding an effect of space. To sum up, make your room look bigger and brighter and airy and cheerful with glossy furniture by Furniture in Fashion that reflects light. Best part, this furniture is not heavy on the eyes and will not make your room over stuffed. Thanks to the effect it has on the room it is placed in, the glossy bedroom furniture can turn out to be the best investment and choice for houses having very limited floor area.